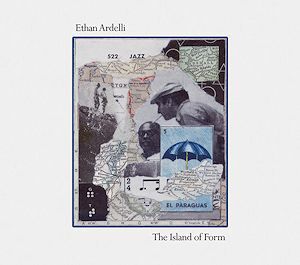 Although Ethan Ardelli has had a high profile for some time (his impressive CV includes work with such figures as Dewey Redman, Jeremy Pelt, Mulgrew Miller, Jane Bunnett and Greg Osby), this is his first recording as a leader. Ardelli – who wrote all the material featured on this disc – not an over-fussy or showy drummer. He gives his fellow musicians plenty of space and freedom, and responds astutely to what they do. It is only on the CD’s shortest track (‘5.55 AM’) that Ardelli dominates matters, displaying what an impressive soloist he can be. Ardelli’s compositions clearly allow for plenty of freedom and improvisation – freedom which is so rewarding, in part because of the group’s experience of working together; the quartet has been playing together since 2014 and their musical ‘togetherness’ is very evident. Ardelli has assembled a group made up of outstanding musicians. Altoist Luis Deniz plays with passion while never abandoning ensemble discipline and precision. Born in Cuba in 1983 (his Cubin roots are very audible in places, most notably in ‘Agua’), Deniz has been based in Toronto since 2004. Anyone who has heard either Solo or Metamorphosis, two solo recordings issued under his own name, will know what a fine pianist Christopher Donnelly is. In Donnelly’s work one is as likely to hear affinities with Bill Evans as readily as with Fauré, with Bud Powell as frequently as Satie. Yet his sound, finally, is his own. Bassist Devon Henderson is a well-established figure in Canadian jazz and this album makes clear both the security of his technique and the fertility of his imagination (listen, for example, to his intro to ‘Accretion’). Yet this isn’t so mush an album about the impression made by individuals as about the coherence and intra-ensemble strength of the quartet as a whole. Every track has pleasures to offer – without ever being gimmicky, Ardelli’s compositions allow (require?) unexpected twists and turns. ‘Agua’ intrigues as it gradually gathers impetus after an opening which initially involves only Deni and Ardelli; after a pause of a kind, with Deniz playing a richly emotional solo, the rhythms become more and more Afro-Cuban in nature with Deniz still the leading voice, with the rhythm section playing some complex patterns behind him. Then, AS Deniz drops out, Donnelly introduces some intriguing phrases and figures, productively interacting with the work of bassist and drummer, until Deniz returns as the piece moves to its conclusion. The near eight minutes of this opening track feel more like a suite than a single piece. ‘Agua’ is followed by ‘Les Calanques’. A calanque, so far as I remember, is an inlet with steep rock walls – a kind of Mediterranean fjord. I don’t know whether Ardelli had a specific place in mind when writing this piece. If so, it might, I suppose, have been the Parc National des Calanques’ near Marseilles; or perhaps there is a similar area in Canada? Certainly, Ardelli’s ‘Les Calanques’ evokes both rock and sea in an attractively ‘poetic’ manner. To borrow some phraseology from Ezra Pound this is “music of representative outline”, rather than “music of structure”. ‘The Serpentine Path’ meanders delightfully and includes some particularly gorgeous work by Donnelly. Played very slowly, the piece yet maintains forward momentum while feeling thoroughly meditative. ‘Dunraven’ begins with an intriguing intro by Donnelly before developing into a kind of jazz waltz. ‘Thanks for Something’ is rhythmically agile and full of constantly shifting textures, with drummer Ardelli’s organizing and punctuating the contributions of his colleagues. There are attractive solo contributions by Deniz, Donnelly and Artdelli while Devon Henderson provides a thoroughly solid, but lightly etched, harmonic foundation for proceedings – a model of contemporary jazz bass. ‘Shangri-La Pearl’ is a fascinating ‘ballad’ which speaks eloquently and sincerely of love and admiration. I take it to carry an (unnamed) personal dedication to someone loved. Donnelly’s work is quietly affirmative and Luis Deniz takes a solo of passionate, yet restrained, power. To describe a debut album as ‘promising’ can sound as if one is Damning it with faint praise, identifying it as less than really satisfying but with potential to become something better. The Island of Form is promising in a richer sense and, in any case, deserves much more than merely faint praise. This is a beautiful and exciting album makes for a thoroughly Satisfying experience in itself, which is promising in the sense that it carries the assurance that future recordings will be well worth one’s attention.